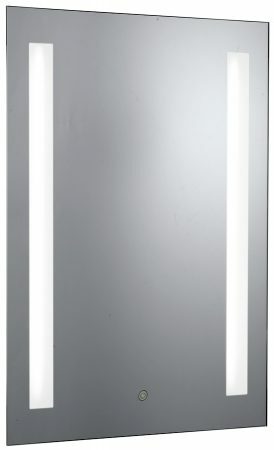 From our range of illuminated bathroom mirror lighting products. 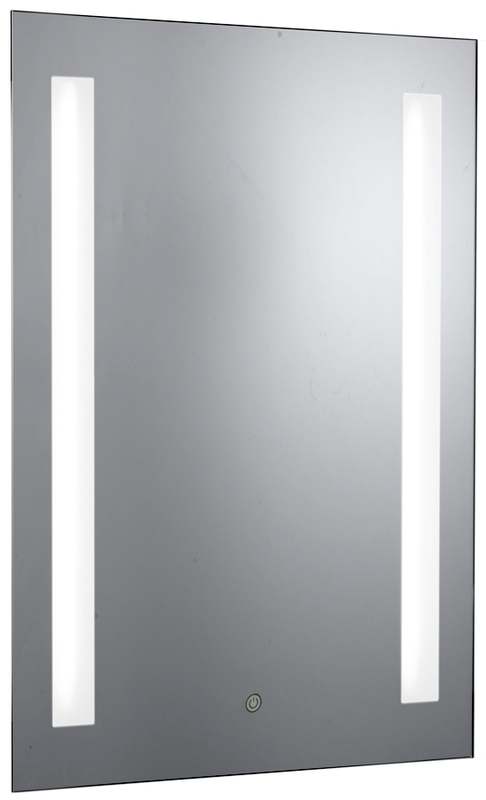 A 500mm wide bathroom mirror with two opposing built in strip lights, side mounted shaving socket and handy front located touch sensitive on / off switch. A must for any modern day bathroom this sleek bathroom mirror will help you groom your way to perfection on the gloomiest of days. Lights on your mirror will help light up your bathroom where you need it most but don t forget some ambience too. See the main lights for bathroom category for lighting solutions for your bathroom walls and ceilings.